The first section of Hebrews develops an argument that Jesus was foreshadowed by various people and events in the Hebrew Bible. In chapter 3 he will contrast Jesus and Moses, perhaps the most faithful servant of God and certainly the person associated most with the Law. It is well known that Matthew uses a kind of Moses typology in his Gospel to show that Jesus is a teacher in the tradition of Moses yet superior to him. It is therefore somewhat surprising that the book of Hebrews does not begin with the contrast with Moses. After the introduction, the writer says that the Son who is seated at the right hand of the Majesty in heaven is superior to the angels (1:3). Following this statement, the writer constructs a lengthy comparison of Jesus and the angels, drawing on a series of texts from the Hebrew Bible (1:4-14, 2:1-9). Why start with the angels? The tradition that angels delivered the Law is found in later Judaism as well: “The presence of angels at the event of the giving of the law was a favourite bit of embroidery in rabbinic tradition, and was meant to enhance the glory of Sinai” (H. Schoeps, Paul, 182). The emphasis in this literature is on the angels as intermediaries, delivering the Law to Moses. When God revealed himself to Moses, he used angels. Are there other reasons that the writer begins with a sustained argument that Jesus is superior to the angels in every way? The opening chapter of Hebrews is striking evidence that the earliest believers had a conception of Jesus unfamiliar to us. This deserves greater study. I find that Hebrews has difficulty getting any real traction in our day, because we do not live in the same ‘enchanted’ world of its original audience. They almost deified angels. But we think of angels as a carry-over myth from a bygone era, a way of explaining the forces of nature which we now know to be governed by universal laws and not supernatural beings. So in exalting Jesus above angels, we immediately sense that we just don’t have that issue and so do not find ourselves being addressed by the text. So maybe the first step to a higher christology is to reinstate the doctrine of angels. (I think I remember hearing Neal Plantinga say a while back that preachers should be delivering about one sermon per year on angels.) Or maybe a preacher could help his/her hearers diagnose whether they believe, in essence, that Jesus is merely an angel. I find Jobes’ observation of the ancient world viewing humans as inferior to angels quite interesting (Jobes 93). Understanding this cultural belief and knowing Jesus lived as a human being would cause all the more reason for the Hebrew author to emphasize Jesus’ superiority – especially as the Son of God. The author must have been compelled to provide Jesus with a substantial and credible background before further developing the Hebrew writings. Many new Christians at the time may have mistakenly thought of Jesus Christ as an angel. Having the notion of God’s unity (Deut. 6:4, etc.) ingrained into their theological understanding, it may have been hard for them to accept Jesus Christ’s divinity. Maybe the author opens the letter this way in order to correct them. I think this understanding of Hebrews 1 would be a bit of meat for Jehovah’s Witnesses who claim that Jesus Christ is the archangel Michael. I think it is very important and significant that the author of Hebrews made a point to portray Jesus as superior to the angels. Like others have commented, it is understandable that early Christians and jewish people would think of Jesus as an angelic being. We know that in order for Jesus to have been our Savior, he had to have been both fully God and fully man, and not an angel. I think that this argument also helps to clear up our knowledge of angels. The subject of angels is a mysterious one, and we aren’t told much about them. But by this author stating that angels are messengers from God and different from humans, we can more clearly define what angels are and what they do. Read in the light of its ancient Jewish apocalyptic and mystical context, establishing the son’s identity in relation to the angels would have been a natural and necessary topic to address. As you note, angels were “very popular” around this time, but especially in Jewish apocalyptic and mystical traditions. 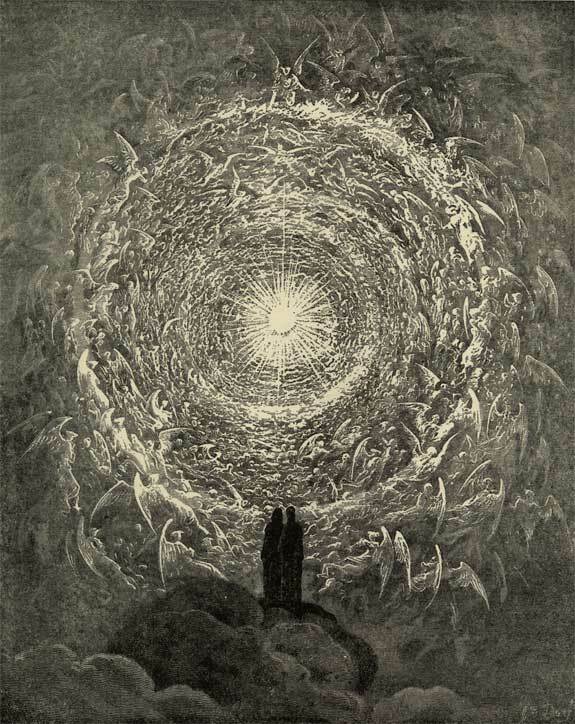 Not only are angels virtually omnipresent in the ancient Jewish and Christian apocalypses, and often portrayed as highly exalted, but the relationship between the angels and someone who has ascended into their habitat is very much an apocalyptic/mystical question (e.g. Dan 12:3; 1 En. 14–16; 104:1–6; 2 En. 22:8–10; 2 Bar. 51:10; Ascen. Isa. 7–9). As a figure who has recently ascended into the heaven realm, the question of the son’s identity in relation to the angels would have been an obvious one to someone coming from this kind of environment, and need not suggest a polemic against angel veneration or an angel Christology (Barnard, Mysticism of Hebrews, pp. 157–70, 243–70). Thank you for your valuable comments. I agree that there was angels were “virtually omnipresent in the ancient Jewish and Christian apocalypses,” the texts you cite more than show that. In some cases angelic beings have almost become semi-divine beings, I am thinking of Metron, but there are others. Obviously there is evidence to evaluate than a short post like this can handle; my point here is to point out that what seems odd to the western, 21st century reader would resonate with the Jewish reader of the first century. My pleasure. I’m delighted to have come across these stimulating posts on Hebrews – thank you. I would suggest that the author of Hebrews argues that Jesus is superior to angels in every way at the beginning of the book because many of those reading Hebrews knew that Jesus was a man but they may not have realized he was even more superior than the angels. Hebrews was written with a very Jewish attitude about it and it was necessary to talk about just how superior Jesus was so that the readers knew how important He was as well. The believers of the time may have thought of Jesus in a number of ways and they needed to be reminded just how superior He was even to the great beings that they thought angels were. I find that Hebrews has any real relevance to our times today simply because we weren’t born in the same era as its original audience. As seen in Heb. 2:9 Jesus was made lower for a while so that he could be made fully human. He did so that he could restore us of our sins of the human race, he wanted to be made in human likeness. In Jobes book it clearly says that Jesus was an angel that did something that other angels couldn’t- he die as the sacrificial love for the atonement of our sins to humankind. (p. 99). Without the accession of Christ this atonement would be incomplete. I do think it’s important to note these things to fully understand the complexity of the religion and I think that Hebrews really adds to that emphasis. Any thoughts on Dr. Heiser’s “Unseen Realm” regarding this? His exploration of sons of God and the supernatural structure intrigues, me, just wondering if you have any comments about it. Sorry, I have not read Heiser’s work. I have seen his blog, but have not had the time to read the book yet. Interesting connection between Jesus and the angels. I never had made that connection before, that God used angels to reveal himself to the Jewish people and then Jesus was all of the sudden sent instead. It would make complete sense why the author of Hebrews would make a point to tell his audience that Jesus was different than the angles and that although his purpose was similar, Jesus was much much more significant. Maybe another reason was to tell that Jesus was even greater than what their preconceived notions of a messiah were. Instead of an angelic warrior from heaven like Michael, Jesus was even greater. I think it’s important that Jesus be contrasted from the Angels because, as we are told of his story, and throughout the New Testament, they are present authorities of God. They are his messengers, they send blessings, miracles. They are not part of God, but more of his creations. The angels were even the ones who, outside of prophecy, brought news of Jesus’ birth. In the appropriate times, they were mouthpieces for God. We can see some comparisons between the angels and Jesus, so the author of Hebrews makes a point to draw that line of contrast. I think that you make a good point Rowan. If the Jewish people saw Jesus teaching and preaching along with performing miracles, they probably would mistake Him for an angel. I like how you said that the angels are not part of God, they are His messengers whereas Jesus was a part of God; He was and is God. Like you said we can see and make comparisons between the angels and Jesus Christ which is why, I too, can understand why the author of Hebrews would feel it necessary to draw a line of contrast between Him and the angels. I feel that in doing so the author may have been able to eliminate some confusion that the believers at the time (and even possibly today), may have had. I think that it is interesting how just as the Israelites thought a lot about angels and how a couple thousand years later Christians still have questions and think about them. I never thought that the Jewish people may have thought of Jesus as just another angel sent to share a message from God. If there was a possibility that the Jewish people would think that Jesus was an angel, then I think that the book of Hebrews is trying to make sure that the people know that Jesus was not just an angel; that He was the Son of God. As stated above, angels would deliver a message or the Law, but Jesus was sent to fulfill it. By explaining that Jesus, in His human form still had authority over the angels, I think was to help them understand that He still was God and had power and was holy.